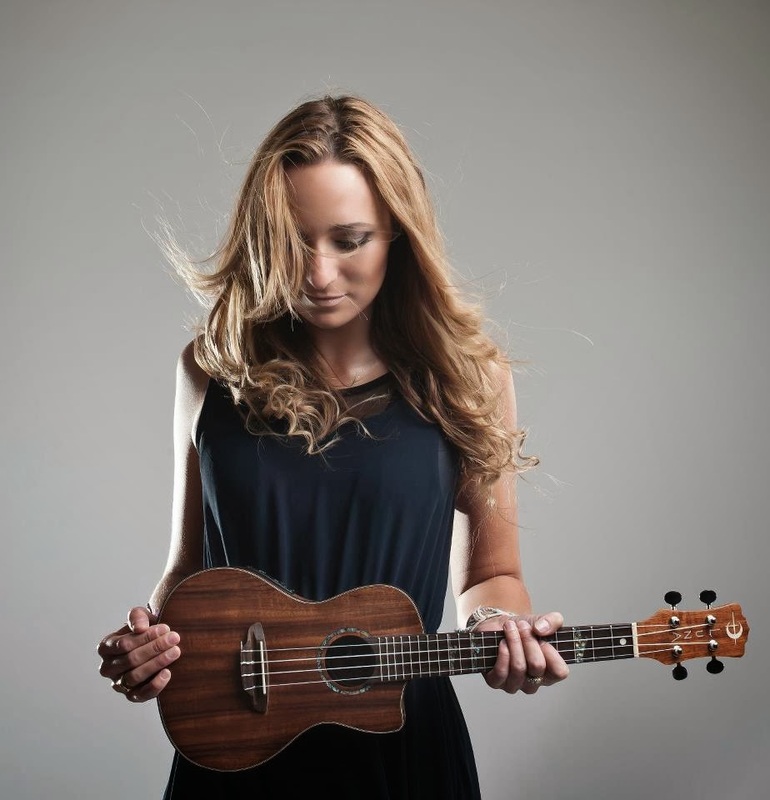 Emma Stevens describes herself as a singer-songwriter who sings "haunting folk/pop songs with lots of twist and sparkle". A firm Radio 2 favourite, Emma has found herself a regular on the playlist and enjoyed appearances on the Chris Evans and Terry Wogan shows. Emma has worked with established artists and songwriters all over the world; Korean boy band 'Shinee' performed one of Emmas songs on their number one album. A multi-instrumentalist who plays guitar, piano, cello, ukulele, banjo, mandolin, percussion and baritone guitar, Emmas talents are showcased on 4 E.Ps and her album 'Enchanted'. Here Emma shares her songwriting tips. Do you have a daily songwriting routine or do you wait for inspiration to strike? I usually wait for inspiration to strike. That said, it happens a lot! Do you have any tricks to get the creative juices flowing? Not really, I try to read as much as possible, I enjoy people watching (I hope that's not too weird!) and I use a lot of my experiences in my own life to write a lyric. How long does it take you to write a song? It depends. I wrote 'Sunflower' in about 2 hours. It just needed to come out of me I think! Sometimes I get into writers block and it can take days to finish one! Could you explain a little about the writing process behind a few of your songs? When I wrote 'A Place Called You' we really wanted to make it a happy song. But when you hear the ballad version, the lyric transpires as really quite sad! It's amazing to be able to write a song that can be interpreted in more than one way. We sat back and listened and thought... How could we make a sad song sound so happy!! When I wrote 'Sunflower' I came up with the title because my Mum used to grow Sunflowers at the bottom of the garden when I was a little girl, and I really felt the urge to use that and turn it into a lyric. It's one of the saddest songs I have written, but I just desperately needed to - it helped me in the grieving process after losing my Mum and it helps me every day when I sing it on stage. To be able to have a song as a catharsis is really special and I'm proud of that. :) 'This is For You' came out because I wanted to write a song for society. I was talking with my co-writer Pete, about how I feel when I smile at someone when they don't smile back and we turned it into a song. I had my "celtic" hat on when writing the melody and we put in a rogue bar of 2 (music talk!). I really like to challenge myself when it comes to melody and rhythm! What songs that other people have written do you particularly admire? 'Graceland' by Paul Simon, 'Belief' by John Mayer. Do you think that a technical knowledge of theory is important or does it get in the way? I think it can work either way. I like to use theory every now and then to help me, but I also think you can write a beautiful song with just 2 chords...! Do you tend to revisit your songs and rewrite them? Often I will try and really hone the lyric, or change a few chords around, but it's still for me a part of writing the song. I don't really consider it revisiting. Do you write songs with a view to being commercial and following current trends? When I wrote 'A Place Called You' I always visualised it being quite "commercial" but I never write just to follow a trend. It has to come from my heart. Having said that, when writing with/for other people I tend to write from a different point of view. Have you done much co-writing, and if so what do you see as the benefits? Lots and lots. 2 brains are better than one etc. I love co writing, I think writing can be a very solitary business and it's nice to share it. Who do you view as great songwriters. Who has inspired you musically/ lyrically? Charlie Midnight. I've been very lucky enough to write with him too. I adore him! Do you feel that when there's conflict/struggle in your life that it inspires better songs? I don't know if it inspires me necessarily. But I certainly find it has an effect on the mood of my writing. When I lost my Mum, writing was such a catharsis, a wonderful way of releasing my emotions. Do you have any idea where you ideas come from? I am always writing down notes and singing into my "voice memo's" app. Sometimes I'll take an idea from that for a song. Do you have any advice you'd like to share with budding songwriters out there? Listen to each other, enjoy what you're doing and you can't go wrong, songwriting is subjective! Click on the following to find Emma Stevens on the web.